What a fantastic two days of fun and celebration! The Harold Hill Locality paid for the Go Bonkers experience, water and ice creams for over 1,500 pupils. St Ursula's Infants & Juniors, Brookside Infants & Juniors, Mead Primary, Hilldene Primary, Dame Tipping CofE and Broadford all benefitted from this Diamond Jubilee treat. Looking at the pure joy bubbling out of the children shows you it was worth every penny. Happy Jubilee! Pirates Visit Reception- Ahoy Mateys! As part of their topic on Pirates, the Reception children were entertained by a couple of scurvy riddled sea dogs who had washed up on the shores of Broadford Primary. Desperate to sneak their treasure past our gold thirsty ship mates, they tried all sorts of tricks. Luckily Pirate Skills is a key part of the curriculum here, and the Junior Blackbeards were not easily fooled. Without a doubt this was a week of activity which inspired the interest of the boys and led to some great creative learning experiences. Broadford was swathed in patriotic colours today as the children dressed up for the Jubilee celebrations and birthday parties. Face paints, nail polish, hair extensions, and decorative clips were all used to embellish the stunning outfits. Just look at the images below to see how much effort the parents and children put into the day! At lunch there was a Jubilee feast. Tomorrow (Thursday) we have the Go Bonkers experience... what a week. Stirring, kneading, baking our Year 6 pupils were cooking up a storm all day today. A tremendous batch of tasty treats has been prepared for the parents, friends and carers who will be visiting us tomorrow for the Diabetes UK Coffee Morning. Don't forget, 10am tomorrow (Thursday 31st)! The hall has been decorated, the kettle's on and the cakes are decorated. Relax, have a brew and help us raise money for a very worthy cause. A huge thank you to Mrs Wheal, who has donated a fabulous set of cupcakes to the school. What a fantastic way to celebrate the Diamond Jubilee! Decorated with patriotic swirls if colourful icing, they really did taste as good as they looked. If our parents are really lucky there might be some left for the Diabetes UK Coffee Morning tomorrow. Cookery Book Available... only £2! Mandy (our cook) is selling a recipe book packed with delicious ideas for the kitchen. Priced at just £2 it has 15 tempting dishes inside from hot, cheesy stack wraps to a sweet, fluffy marble cake. What a bargain! Following the letter that was given out to the children earlier in the term, we would like to remind you that in Key Stage 1 (Years 1&2) we have asked the pupils to choose from the topic of the ‘Olympics’ or ‘Famous People’, for their project. The children are free to be as creative as they wish. The finished project should be handed in by the 1st June 2012. It is expected that the children should spend approximately 45 minutes on their project each week. 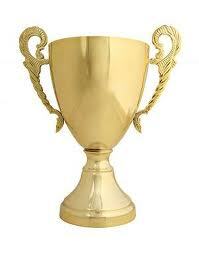 A prize will be awarded to the best project. Find out about the different flags for the different countries. Create a fact file of an athlete who will appear at the Olympics. Find out the route the Olympic Torch will travel around Britain. Investigate why there are five Olympic rings. Find out about the history of the Olympics. Ideas for the Famous People project:Create a collage of pictures. Create something that is associated with the famous person e.g. paint pictures in the style of a famous painter. Write about why the person is famous. Create a fact file of the famous person. 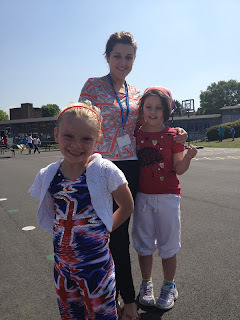 Yesterday saw the Diabetes UK fun run, where the children had to complete 10 laps in support of the charity. Despite the stifling heat, the children performed magnificently. Determination was etched on their faces as the laps counted down. "I must do one more lap!" panted an exhausted James Bickell - who was just coming to the end of his ninth circuit. 50p donations flooded in to the office, all day long. Without a doubt we will manage to hit our £300 target. Don't forget we still have the Charity Coffee Morning tomorrow. Well done everyone, a great effort. Yesterday our Year 6 children competed in a tournament at Drapers Academy. In the warm May sunshine they played very well, winning two games and losing one. As a result they managed to finish second out of the four teams and earn a Silver medal. Well done boys! Taylor McKatherine, Alex Babaianu, Josh Ellis, Colby Hoadley, Myles Aygeman, Tobi Mogaji, Nicolas Bahati and Jamie Groom were the boys who made up the squad. A big thank you to Mr Hardy at Drapers who put the event on. Jamie Groom is representing his club at the Nationals this Sunday. Competing in the Junior section, he will hope to replicate the amazing scoring feat he achieved on Wednesday. With a stunning 7 strikes in a row… YES 7, he managed a score of 265. Once you take his handicap into account that amounts to an incredible 297 points. A perfect score is just 300. Well done Jamie. Tomorrow (Wednesday 30th May) we will have an ice cream van in the playground after school. Bring along your pocket money to enjoy a cool sweet treat on your way home. During the Go Bonkers extravaganza, ice creams or lollies will be given away to the children as a Jubilee gift from the Locality. We just have to keep our fingers crossed that it doesn't rain! Don't forget your 50p donations today for the Charity Fun Run. This afternoon we shall be holding a 10 lap jog around the track on the field in aid of our nominated charity. The locality of schools has agreed to raise money for Diabetes UK - a charity that helps young people come to terms with diabetes and supports their self care. 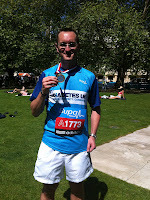 Mr Drakes completed the Bupa 10k at the weekend on their behalf and now it is the pupils turn to raise some money. With the support of our parents and carers we can hit our target of £300. We would like to welcome the parents of the Tuesday Dance class and the Choir to the Sharing Assembly on Wednesday 30th May at 9.05am. Nathan returned to school with some fantastic stories from his recent Cub Scout camp. The full english breakfast was clearly a highlight and the freedom from soap! It was so good to hear about one of our children being confident enough to be away from home, camping in the forest. Those experiences are truly character building. It must have been a great trip as he was inspired to do some writing about it and bring it into school. Well done Nathan, we look forward to hearing about your next adventure! In previous posts we have highlighted the achievements of our very own Jamie Groom. This weekend he is representing his club at the Junior Nationals - which are being held in Nottingham. This week - as ever - he has been practising furiously. As part of this he even plays for his Dad's team in an adult league. Amazingly he managed to post a score of 267 this week... which included 7 STRIKES IN A ROW! We would wish him luck for Sunday, but on this kind of form he clearly won't need it. We would like to invite you to another Parent/Governors meeting on Monday 28th May at 9.10 am where we will serve the usual coffee and refreshments. It will be a great opportunity to inform you of our plans for the next 3 months and how the school is continuing move forward. We hope to see you there. Despite the huge crowds, thousands of runners and tropical heat, Mr Drakes managed to complete the Bupa 10km race today in around 45mins. The course took in some incredible sights around London: St Paul's, The Mall, Trafalgar Square and The Bank of England. Later this week, on Tuesday afternoon, the children will get their chance to raise some money for this worthy cause. Our target is an average of 50p per child. With the help of all our parents, friends, Governors and carers we are sure we can raise our target of £300. Another way to support our school council's charity drive is to come and have coffee and cake on Thursday morning - at 10am. All proceeds will go to the charity as well. Congratulations to the children who have managed to complete their trackers. Ruby Burchell, John Rensch, Tommy Overton, Sian Burnett, Chloe Trew, Holly Maskell, Sophie Nickson, Jack Barnett, Teddy Pilcher and Johnny Ferguson have collected enough merits to finish their Bronze trackers. 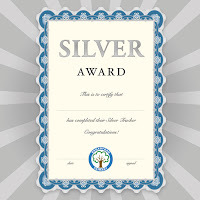 Dylan Houlston and Alex Wicher have managed to earn their Silver Pencil. Patrycja Stepien and Raheem Miah have almost completed their Silver trackers, with 20 merits achieved. 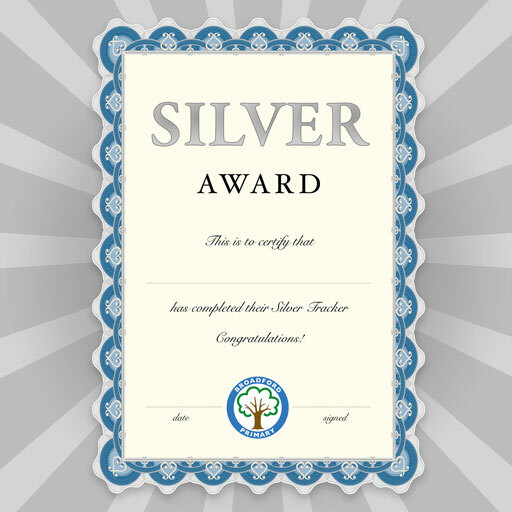 While Sabina Kopkova and Shaun Green have all managed to complete their Silver trackers and are already on their way towards earning their Gold Bookmark! Tommy Lockhart, Ife Bakreen and Alysson Kinata have all reached 24 Golden merits. Just six more and they will reach Platinum. Well done to all of you. Joseph & Nathan... the new Ant & Dec! In an effort to qualify for the finals of the Broadford's Got Talent event, Joseph and Nathan have been brushing up on their comedy skills. One of Joseph's passions is clearly reading books that make you laugh. Some of his best material is below. However it must be a current theme as this article in the Daily Mail shows. Apparently jokes on lollipop sticks are making a comeback! Why did the tomato blush? Because he saw the salad dressing! What type of puzzles make you angry? Crossword puzzles! What do you call a lady with one leg? Eileen! Why are dolphins so clever... because they live in schools! Of course, it's the way you tell 'em. Maple have remained at the summit this week, tied with Elm with a brilliant score of 100%. Who said that children don’t like exams? Cedar finished top of the KS1/EYFS with 99.7%. It is very good to see the attendance score back on track. Eight classes this week managed to get over the target of 95%. 100% Attendance Update:With one week to go there are 121 pupils eligible to have their name in the lucky bucket. Keep going you’re nearly there. Read Write Inc Winner:Congratulations to John Batt who excelled in his Read Write Inc sessions this week. E for Excellence Winners:These wonderful children have demonstrated excellence this week. Congratulations to this week’s winners! With one week to go until cake and biscuits the gap between the four houses is very close. Red team were the winners this week with an amazing 59 points. We will be having a Parent & Governor meeting on Monday morning at 10am. Once that is finished there will be an assembly to celebrate the 60th anniversary of the school. During that get together we will have some ex pupils share their memories help us cut the cake. Parents who have attended the early morning meeting are welcome to attend. In addition to this the children will be taking part in a sponsored running event. This will take place on Tuesday afternoon (29th May). I am running the Bupa 10km race in London this weekend (wearing my Diabetes UK vest) and they will be imitating the idea… but not the actual distance! All the children have to raise is 50p! On Wednesday we are having a Red, White and Blue dress up day for all the children. Mandy (our cook) is doing a special Jubilee themed lunch. The Early Years will be entertained by Potty Patrick in their very own Queen's Jubilee party. We are delighted to invite you to a Broadford Coffee morning in aid of Diabetes UK. Hosted by the Year 6 pupils, there will be cakes, biscuits, teas and coffee on sale. All proceeds will go towards the pupils fundraising efforts for Diabetes UK, the charity nominated by our locality of schools. The locality is paying for all the children to have a bouncy castle experience next week. We will host Hilldene, Mead, Brookside and St Ursula's (and others) on Wednesday and Thursday. Our children will have their turn on Thursday afternoon 1pm - 3pm. A ice cream van will also be available giving the children free lollipops during the event! 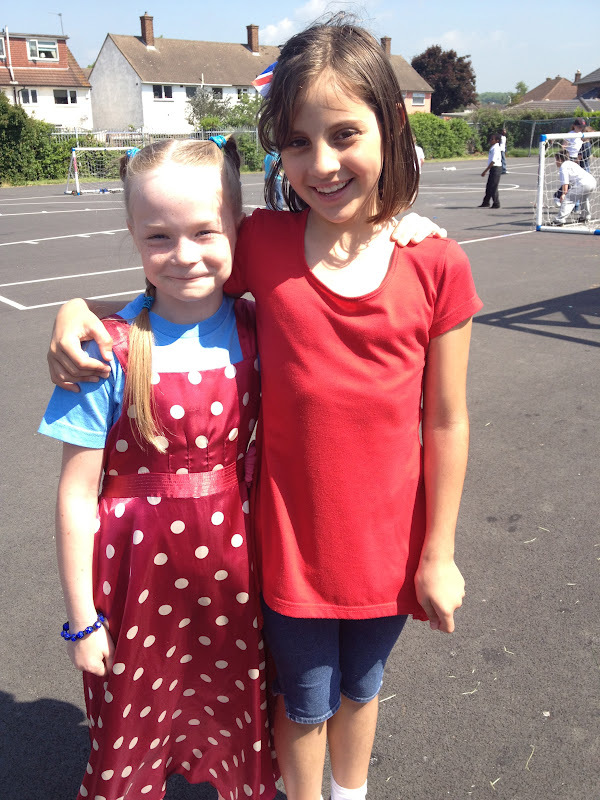 Mrs Nicholls has been arranging our talent show for next week with the help of Mia Rose Stevens in Year 5. There has been a tough auditions process… but the final billing is almost complete. There will be some individual pupil acts, as well as a dance display by our Thursday night Dance Club. The show will start at 2pm and parents of those children will be very welcome to come along and support. It is anticipated that we will be able to be out in time for 3.15pm. A more formal invite to the proceedings will be issued to the relevant parent and carers next week. The following children were nominated by the teachers for the Diamond Ticket. As part of the Jubilee celebrations Councillor White is inviting one child from each school to join him for a special lunch on Sunday 27th May. The children will then be invited to be part of the Romfest Jubilee Celebration. We felt this gave us a great opportunity to recognise those pupils who have worked hard all year and shown a great 'Broadford Spirit'! Without a doubt they all have a positive attitude, they relish challenge and all show kindness and consideration to others. Having been selected, the names were put into a hat... and Chloe Pengelly was chosen! As a result she will be the Broadford Primary Representative at the festivities. 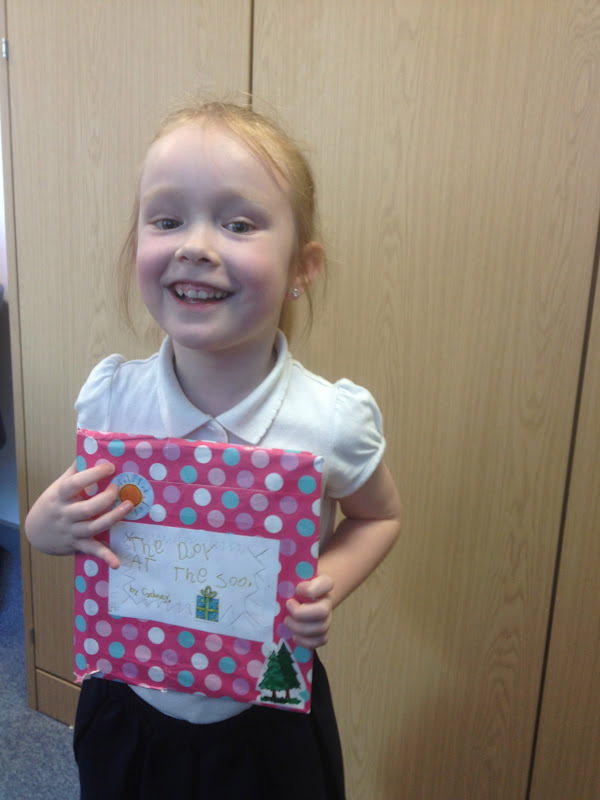 Well done Chloe - make sure you tell us all about it. All the others received certificates to mark their nomination and a festive Jubilee mug. Myles Agyeman- for representing the school in countless sporting events and modelling a fair and sportsmanship attitude to others. Myles will be a future Olympic star! Cassie Bloy- for maintaining high standards of behaviour and attainment. Cassie sets the bar high and always jumps over it! Lisa Ellis- for displaying such determination and never giving up when learning becomes a challenge. Lisa will never accept anything less than her best. Stephanie Francis- for having an infectious smile and being a wonderful friend to so many children. Stephanie makes many people happy. Lacey Gibbons- for her readiness to help others before helping herself. Lacey is selfless and deserves to be spoilt. Colby Hoadley- for brightening up everyone’s day and always looking on the bright side. Colby with an attitude like that, you will go far! Tobi Mogaji - for tackling every challenge set before him with a ready smile and his great sense of humour. Tobi never fails to make us laugh! Chloe Pengelly- for striving to succeed and achieving goals that she sets herself. Chloe is unstoppable! Patrycja Stepien- for an unbeatable positive attitude. Patrycja will stop at nothing to ensure she is fabulous at everything she sets her mind to. Elsaf Zema- for being so hardworking and always being positive when faced with a challenge. Elsaf will always succeed and achieve great things! In addition to this the children will be taking part in a sponsored running event. I am running the Bupa 10km race in London this weekend (wearing my Diabetes UK vest) and they will be imitating the idea… but not the actual distance! All the children have to raise is 50p! We have had a huge number of responses to the survey… 146 out of 229 issued! To achieve a rate of 64% is good and means that the data will be far more reliable. The classes were issued with the challenge that the one with the best percentage return would win a prize. The winner is (cue dramatic drum roll)… Rowan! They shall have their reward next week. Rowan managed a return rate of 85%. However the whole school has brought back enough forms to earn some extra playtime – which we are sure the pupils will be happy with. As soon as we have the results, they will be shared with you. However, we would like to see a substantially higher number of responses. We take your views and opinions very seriously and see them as a key driver behind our school improvement. We are all deeply committed to giving your children the best deal possible and making Broadford the ‘best school on the hill’! If you let us know what we are doing well, and what we could do differently or better then we can carry on the improvement. We have included another link on the website/Facebook page to help you navigate your way there. Many of our pupils have been trying to extend their learning at home. Cydney has been particularly interested in the zoo - particularly Colchester zoo! In her own time she has put together a brochure for her zoo, which includes pop ups and animals hidden under flaps... very impressive. Cydney's favourite animal is the elephant. What animals would you feature in your zoo? Who's Been Reading About Broadford? Unbelievably the achievements of our pupils have now managed truly international recognition. This month alone we have had visitors to our pages from India, to America and back to Russia! Combine this with the press coverage we have received recently and there soon will be very few people who have not heard about the feats of our amazing pupils. Did you know that - since September - over 20,000 visits have been made to our blog? That means that we have an average of well over 2,000 hits to our stories and new items. Clearly someone at the school must have relatives in America as they have come to see our webpage over 1,000 times in just a month! 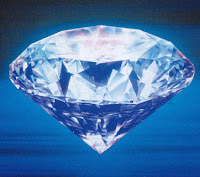 What are you doing to celebrate the Diamond Jubilee? Will you be having a street party? Have you got plans to go into London and see the regatta? In fact it may not be necessary to go as far as that. Have a look at the events that are being arranged for us in Havering... there are quite a few. Family fun runs, balloon releases, festivals... and more: these are just some of the ways you can celebrate the Diamond Jubilee in Havering. On May 27, children from the borough will take part in a special balloon release to celebrate the Diamond Jubilee, with each balloon having a uniquely coded label. Residents who find a label from any of these biodegradable balloons will be asked to contact the Council. The deadline to do this will be 12noon on Friday, 1 June. They will be asked to give the code on the label, and then they will be entered into a prize draw to win an 8Gb Apple iPod Touch. The child whose balloon code is picked as the winner will also receive an 8Gb Apple iPod Touch. Come along and join in the celebrations at Romford Market. 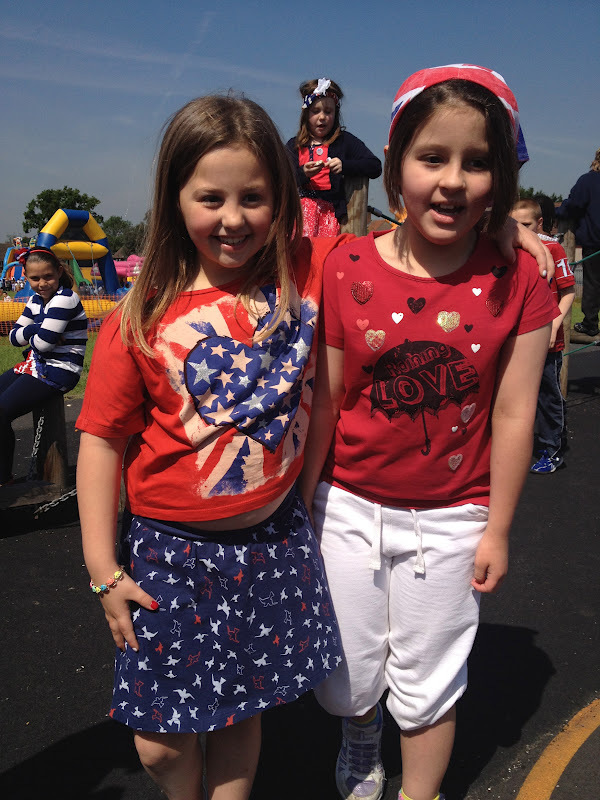 There will be plenty of patriotic decorations, and entertainment including brass bands and face painting. For more information visit the Romford Market page. A special Service of Thanksgiving will be held at St Edward's Church to celebrate the Queen's 60 year reign. This event has been jointly organised by Havering Council and St Edward's Church. You do not need to book to attend the service, but those wishing to attend are advised to arrive early in order to get a seat. 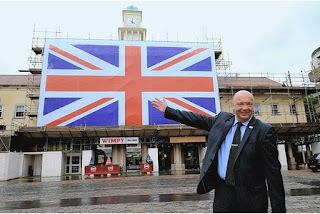 Parking will not be available in Romford Market Place due to the Diamond Jubilee Romfest event. There will be a dazzling array of local entertainment and acts at this free family event, including a carnival procession through the Market Place and a performance by Hope Murphy, a local resident who was a semi-finalist in this year's Britain's Got Talent. The finale of the event will be a proper East End knees up courtesy of Chas Hodges (from Chas and Dave fame) and his band. For more details visit theDiamond Jubilee Romfest page. The day begins with a 5k Fun Run at 10:00am and is open to people of all ages. The fun run will wind its way through the park and you can enter for free by pre registering using the application form on the top right of this page. After the run, the fun continues with a host of free sporting activities in the park including ‘Quad Kids’ Athletics – where each young athlete competes in a sprint (50m or 75m), a run (400m or 600m), a throw and a standing long jump. Children must be registered to take part with Quad Kids before the event. You can request a registration form by quadkids@essexathleticsnetwork.org or visit Havering Mayesbrook Athletic club. The always popular and fun Cycle Polo will feature during the day and the Inflatable Sports Zone will provide football and basketball games for children, there will also be a friendly tennis tournament and ‘easy cricket’ an adapted short version of the sport for people of all ages as well as cricket for people with disabilities. Happy Birthday Broadford Primary School! How Good Is Your Spelling? Bronze & Silver Tracker Winners! Persimmon Homes awards £200 prize to the school! Kirsty Dances Her Socks Off! We're Open As Normal Today!